Shipowner Scorpio Tankers has signed a deal to retrofit roughly half of its product carrier fleet with ballast water treatment systems (BWTS). 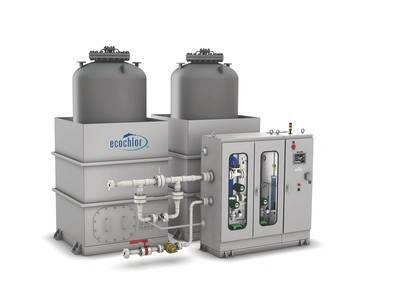 The deal will see U.S. based BWTS manufacturer Ecochlor, Inc. supply 55 systems for Scorpio's product carriers ranging between 38,000 to more than 100,000 DWT. Installations are expected to begin in the fourth quarter of 2018 and continue to the end of 2022. Additionally, Scorpio Tankers will become a minority investor in Ecochlor. Emanuele Lauro, Chairman & CEO of Scorpio Tankers, said, "We are delighted to be working with Ecochlor, given their best-in-class technology. Reliability and quality were primary considerations for us, given our commitment to safeguard the environment and complying with the complex regulatory guidelines for ballast water treatment." "We are honored to have been selected by Scorpio Tankers as their BWTS compliance partner and welcome Scorpio Tankers as a shareholder in our company," said Steve Candito, CEO, Ecochlor. "Scorpio Tankers has a reputation of being a leading owner and operator in the tanker industry. Their commitment to excellence along with the superior efficacy of our treatment system and lifetime commitment to servicing their vessels will guarantee compliance for their fleet worldwide." The Ecochlor BWTS uses a two-step treatment process that includes filtration and treatment with ClO2. 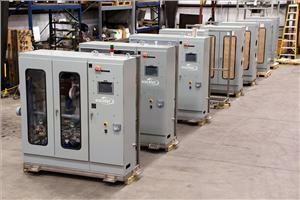 The system is certified to meet or exceed both International Maritime Organization D2 and U.S. Coast Guard standards.